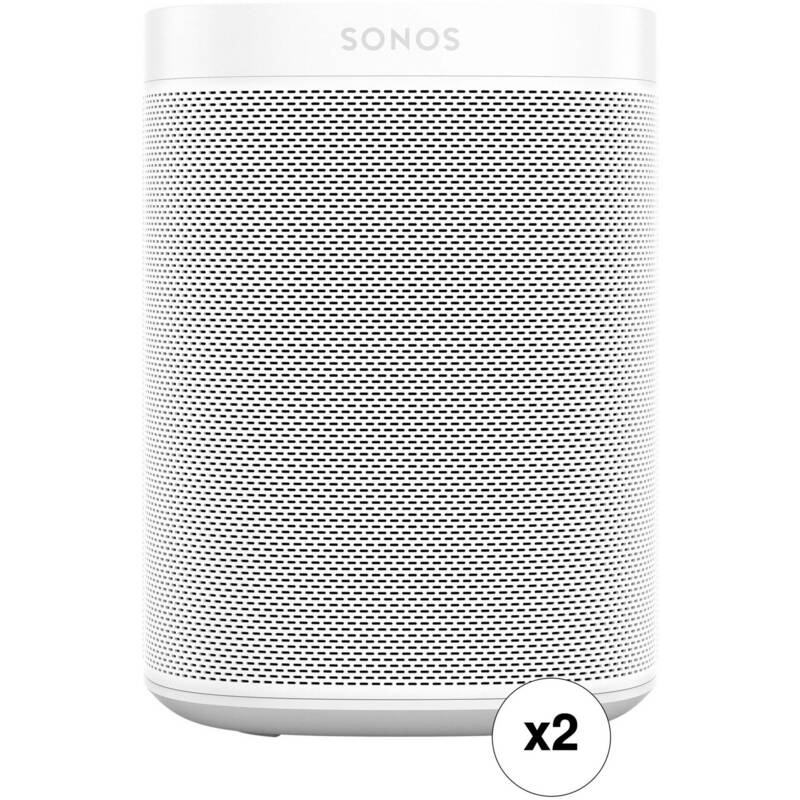 Set up a stereo pair or a multi-room system with this B&H Kit of a pair of white Gen 2 Sonos One Speakers. They will connect to your home network via Ethernet or built-in Wi-Fi to stream music from thousands of free Internet Radio stations or from virtually any online music service. Connect the Sonos Ones to a PLAYBAR or PLAYBASE for surround sound. With Alexa functionality built-in, you can use far-field voice technology to ask Alexa to check the weather and traffic, hear sports scores, play your music, and more. 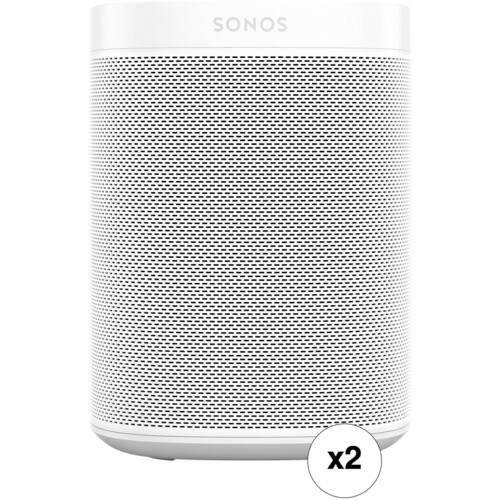 With integrated wireless connectivity, voice control, and home automation support, the 2nd generation white Sonos One isn't your typical wireless speaker. Equipped with Wi-Fi and an onboard microphone system, the Sonos One connects to your home's wireless network and allows you to intuitively play music, check the weather and traffic, hear sports scores, and more. Using far-field voice control technology powered by Alexa, the built-in microphones allow the Sonos One to pick up your voice from any direction in the room, even while music is playing. Box Dimensions (LxWxH) 10.0 x 7.7 x 6.8"